Way back in 2012, Rana Daggubati was supposed to make his Hollywood debut with a film titled A Momentary​Lapse of Reason. The film was supposed to be directed by acclaimed Indian director Aditya Bhattacharya and produced by Hyderabad-based production house, Guru Films. However, the film was shelved for reasons ​unknown. Now, Rana revealed during his recent media interaction that he has been offered to play an Islamic war-lord’s role in a Russian historic drama. 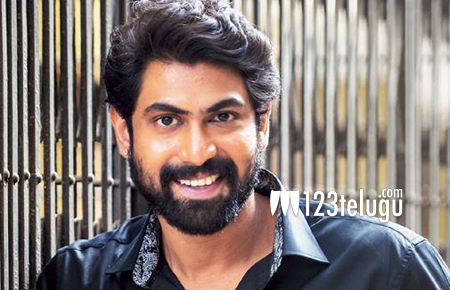 However, Rana is tight-lipped about more details regarding his first international project. On the other hand, Rana is keenly awaiting the release of Baahubali The Conclusion, which will hit the screens on April 28.